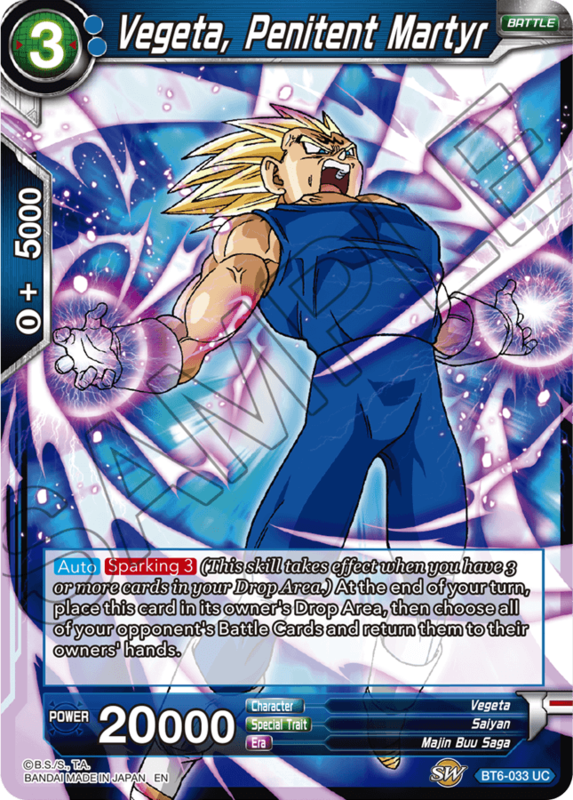 Let’s take a look at a few blue cards from Series 6! 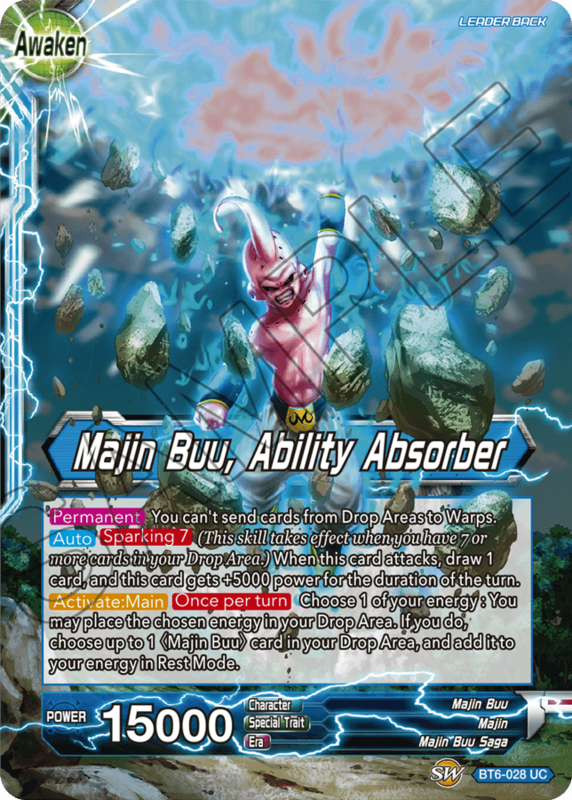 Blue in Series 6 is mostly focused on the Majin Buu Saga! 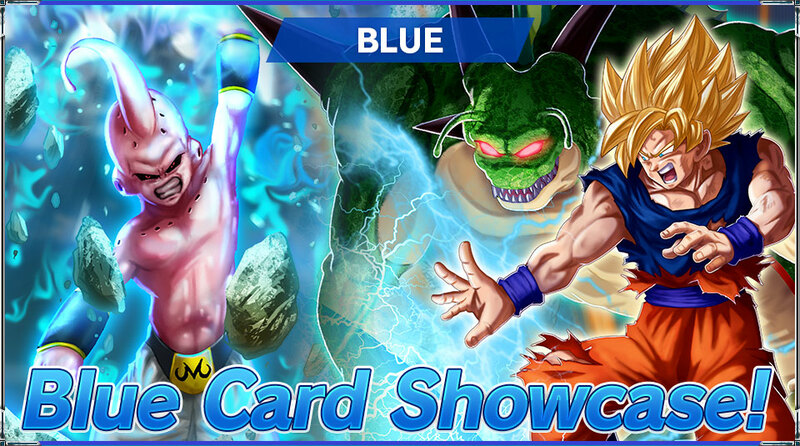 Blue in this set is perfect for building new Majin Buu decks! 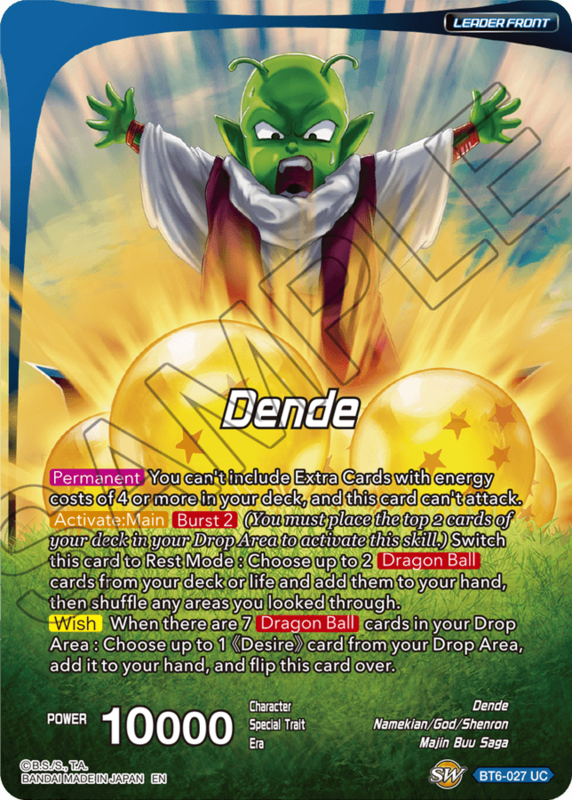 Son Goku firing a Spirit Bomb makes his debut as a Wish Leader! 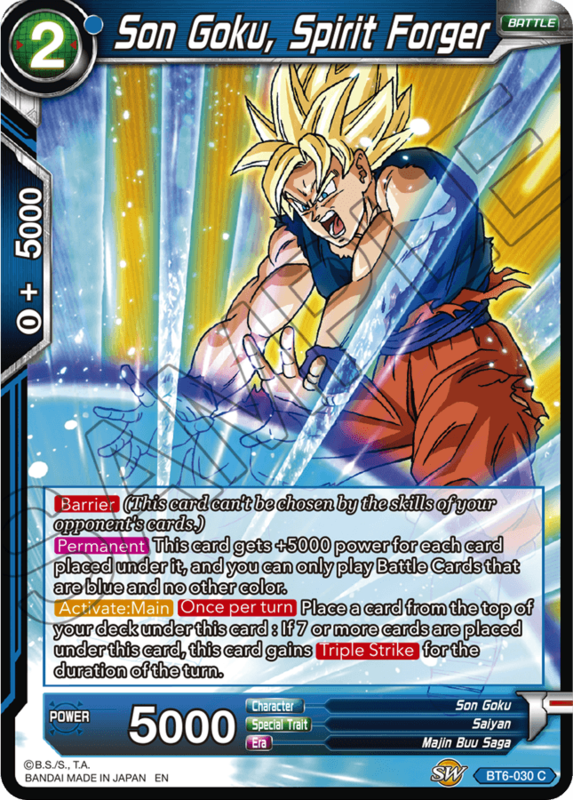 However, the card has a limitation on deck construction, so make sure to keep that in mind when building your deck! 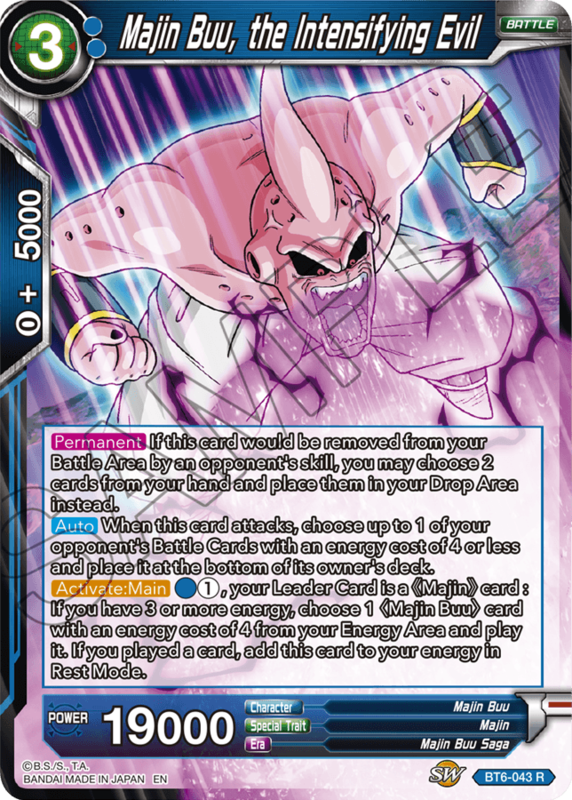 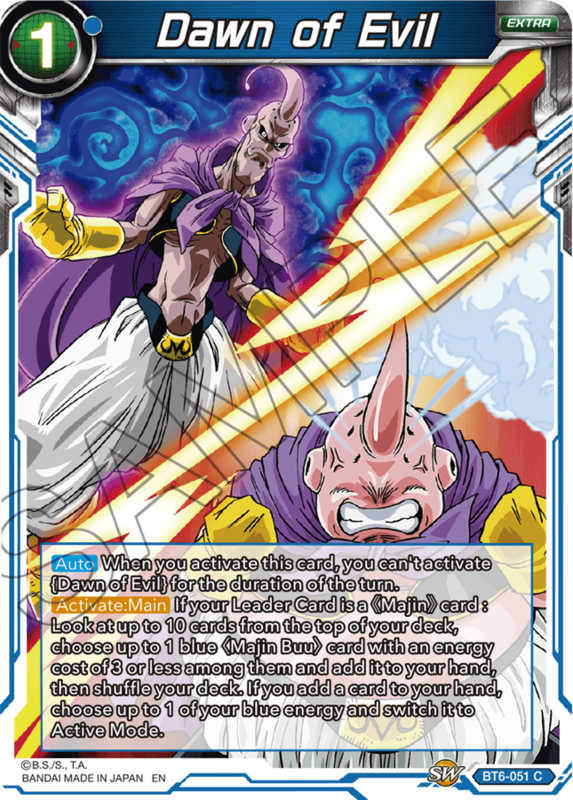 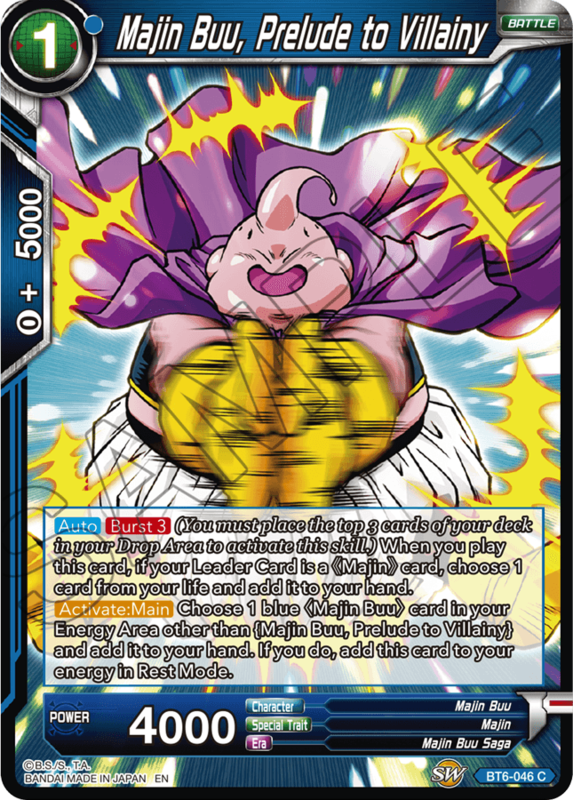 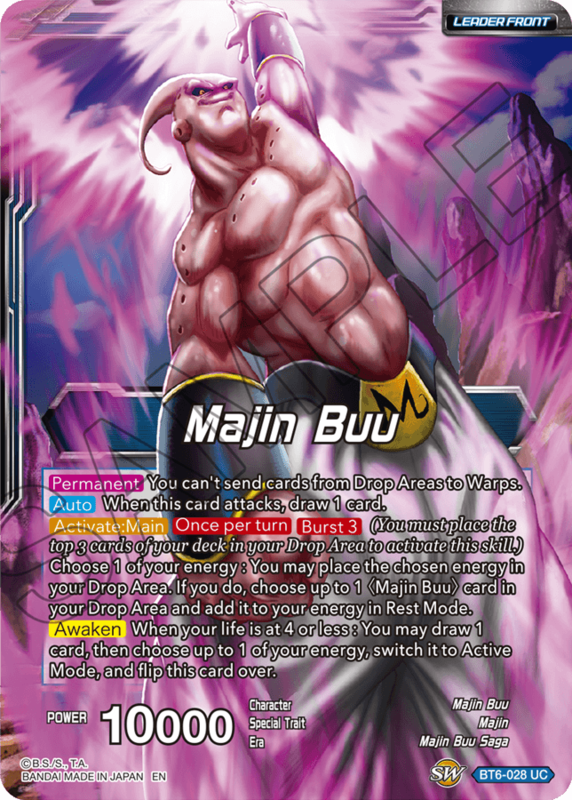 With Series 6, a whole new breed of Majin Buu deck is born! 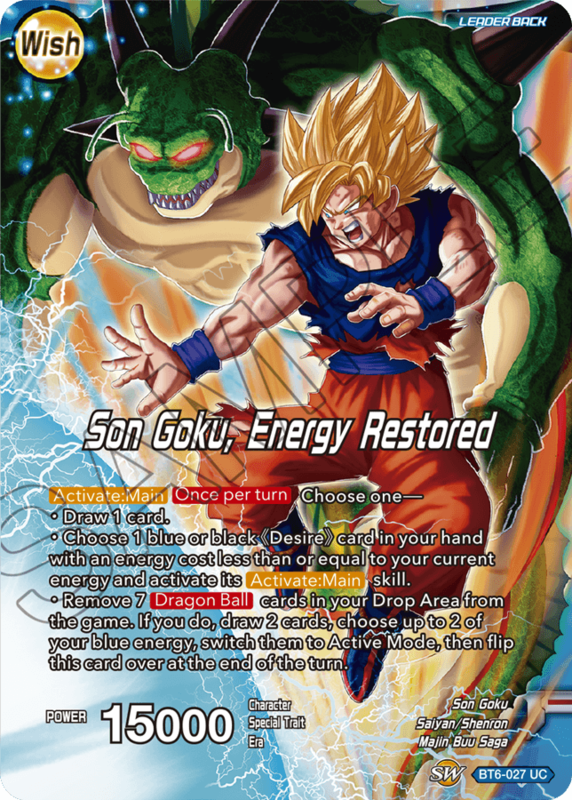 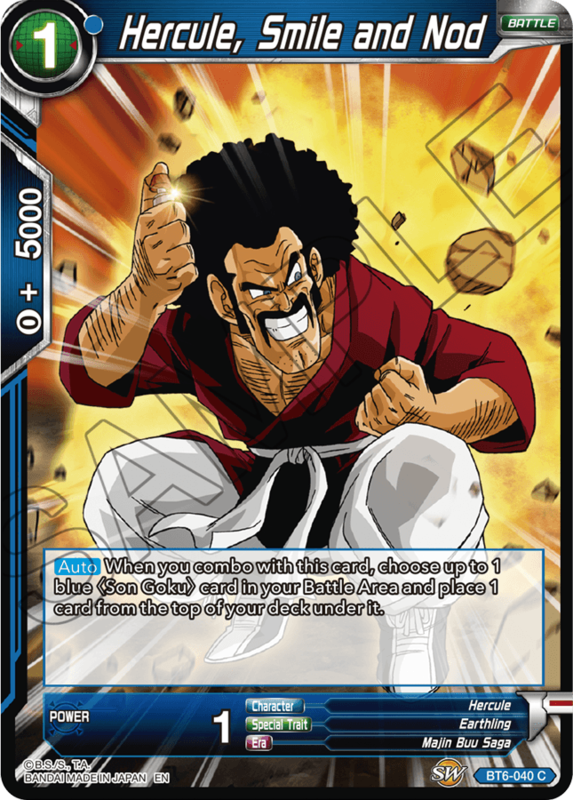 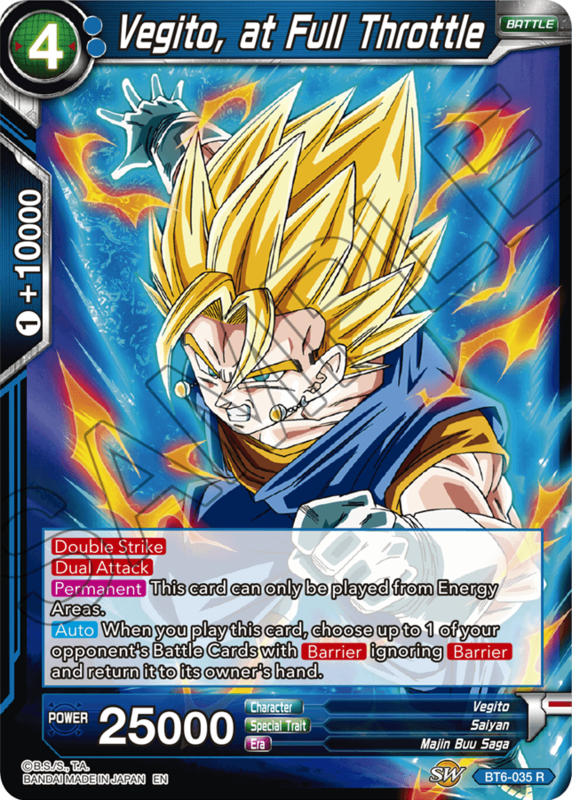 In this new deck type, you need to master playing Battle Cards from your Energy Area to go on the offensive! 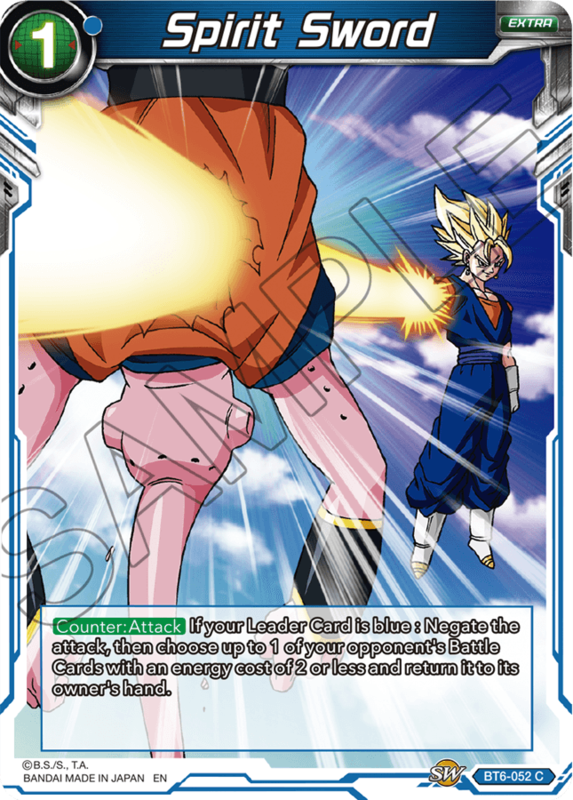 These cards all have effects related to your Energy Area and can be used in new Majin Buu strategies! 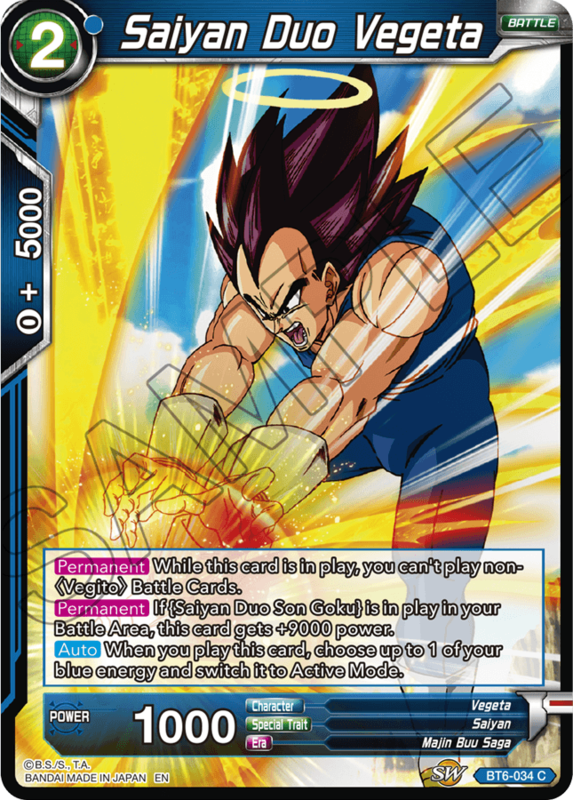 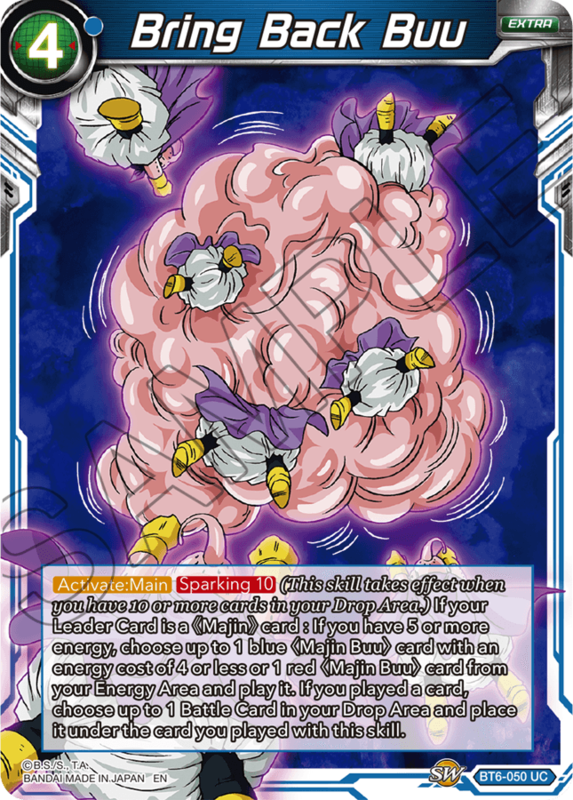 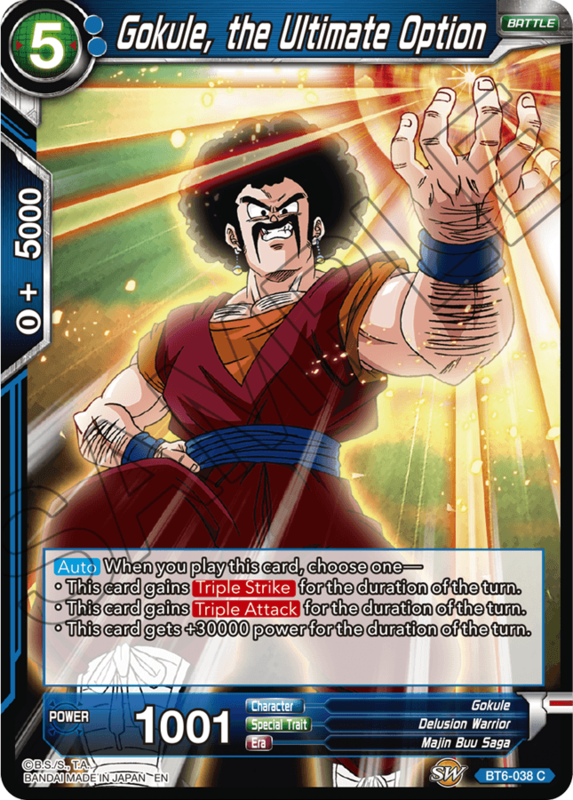 There's a lot of new gimmicks to be had here for Saiyan decks, but blue Saiyans are mainly centered around Vegito, including the famous scene where he’s turned into candy by Majin Buu! 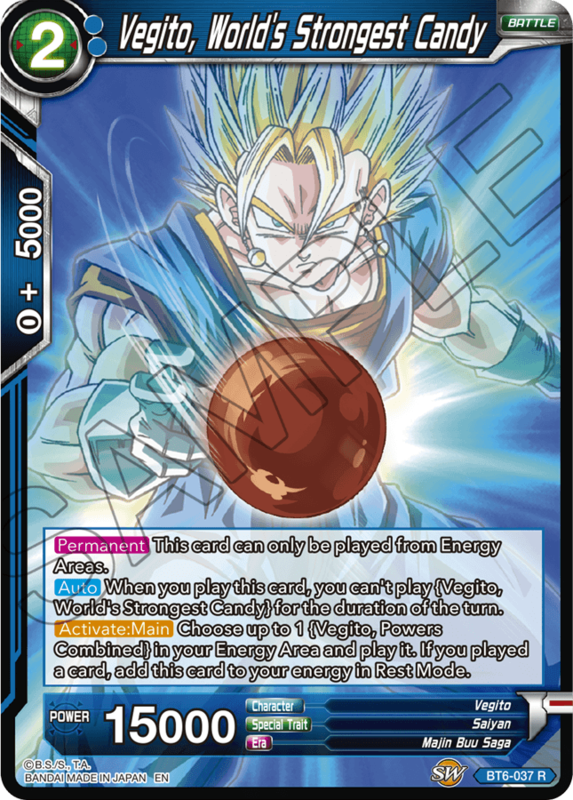 One of them can only be played from your Energy Area! 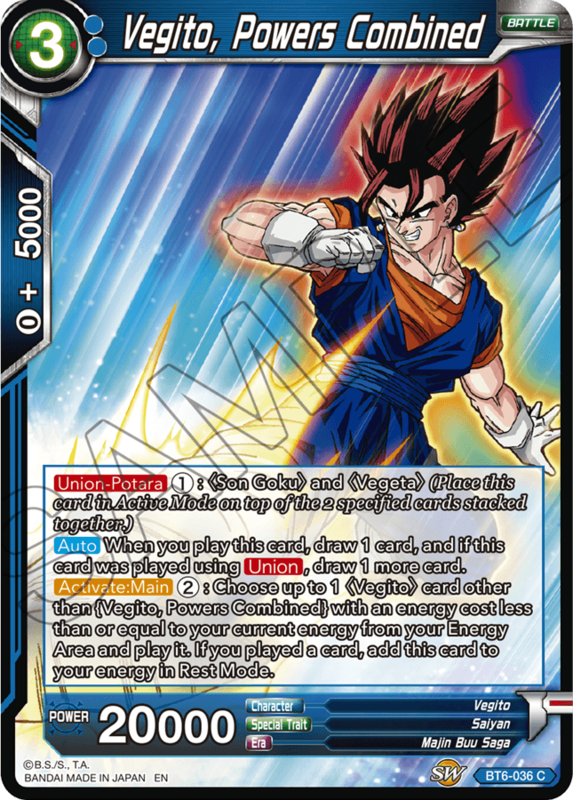 Make sure to try building your very own Vegito deck! 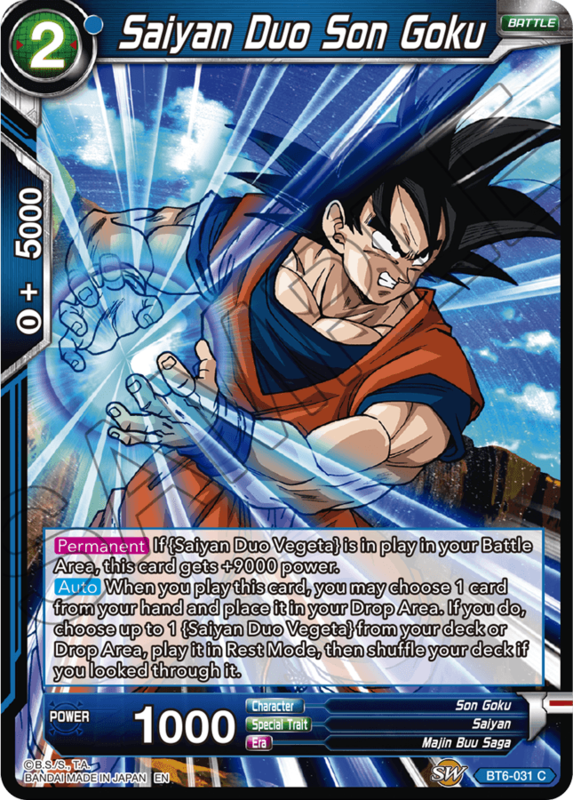 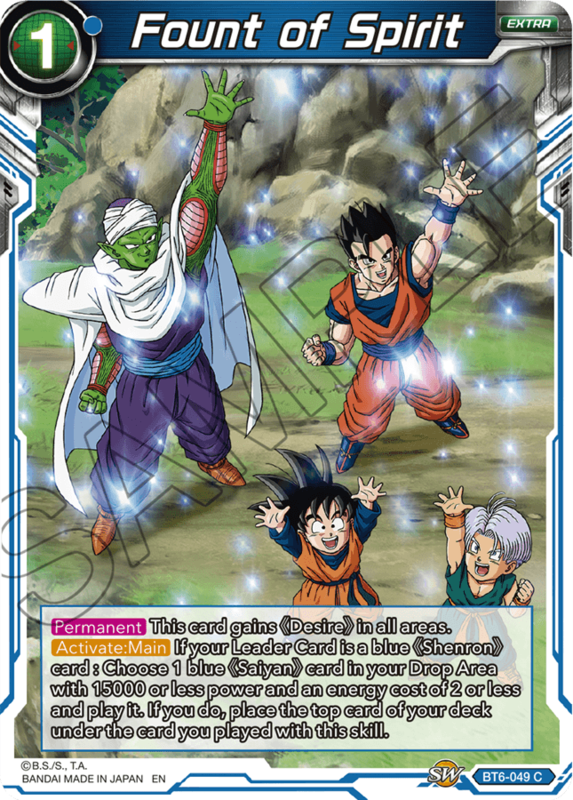 Fount of Spirit goes great in Wish decks, while Spirit Sword is based off of one of Vegito's famous special attacks! 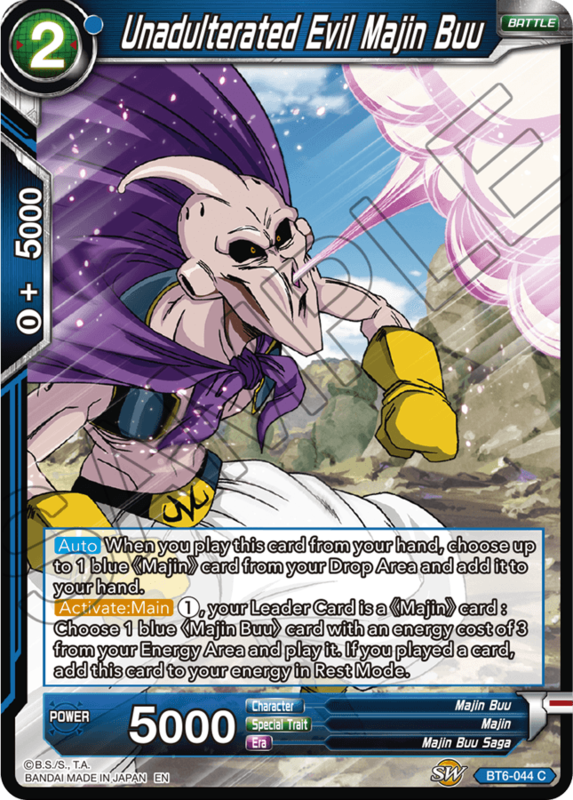 There's lots of new gimmicks, new deck types, and all kinds of new possibilities waiting for players in Destroyer Kings!